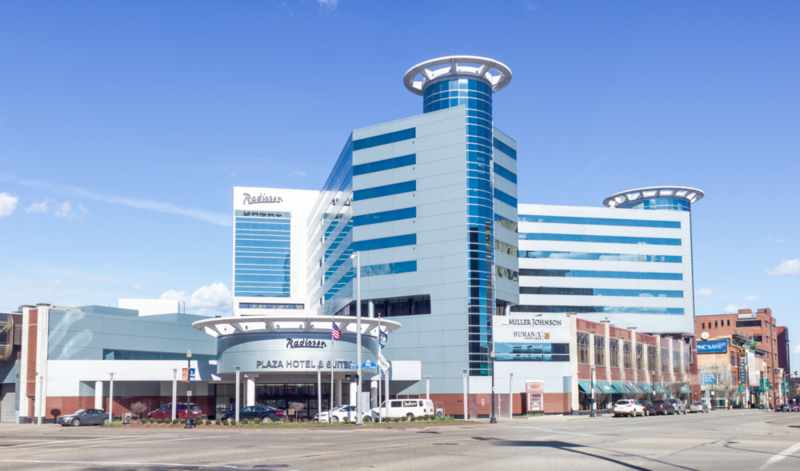 Located a short 15 minute drive from Wings Event Center, the Radisson Plaza Hotel offers luxury and convenience for athletes and tournament attendees. The Radisson is in the heart of Downtown Kalamazoo, so guests can enjoy one of the four restaurants within the hotel or step outside to check out local breweries, distilleries, places to eat, and shops. Located across the way from Wings Event Center, Candlewood Suites offers convenience and comfort for your extended stay in Kalamazoo. Four Points is located in within a 2-3 minute drive from Wings Event Center. A great option for those flying in to Kalamazoo. TownePlace Suites Kalamazoo welcomes you to real living. We're located near I-94 and the 131 Interchange and just minutes from downtown, the airport, and Wings Event Center.